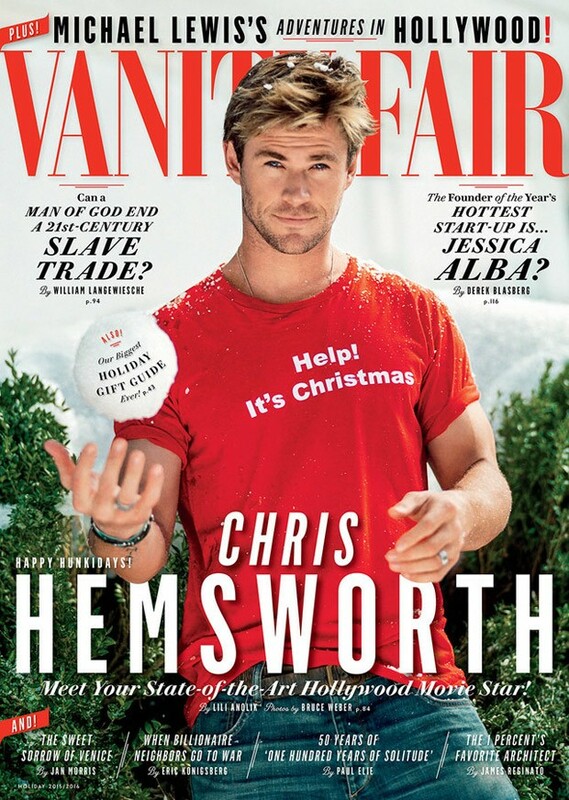 Fame of 'The Avengers' Chris Hemsworth is the handsome star to cover Vanity Fair's December 2015 issue. The 32 year old Australian actor is a jaw-dropping seductive sight, lensed by Bruce Weber with the styling works of Anne Christensen. 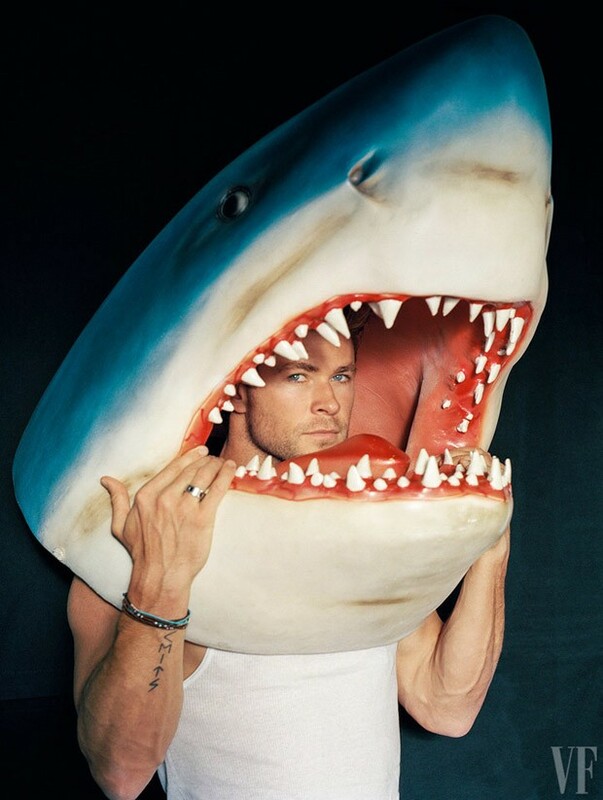 Chris, who paid off his parents' debts, as revealed by younger brother Liam Hemsworth recently, wears a red tee and denim jeans for the cover, and for the rest of the shoot is cool in casual wear.